IFCAI University of Law has announced admissions to five-year Integrated law programmes offered at Hyderabad, Dehradun and Jaipur campuses. Candidates seeking admissions to BA LLB/BBA LLB programmes can apply before the last date of application. 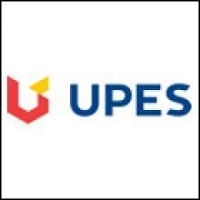 Candidates can apply through official link provided in this page. *For Dehradun and Jaipur: If candidates are Domicile from Jaipur and Dehradun, candidate will get 50,000 discounts in Total fees. 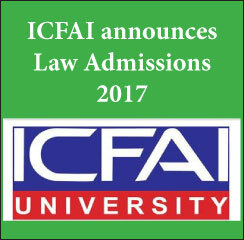 Candidates applying for BA LLB/ BBA LLB programme need to remit application fee of INR 1000 for ICFAI Law admission 2017. 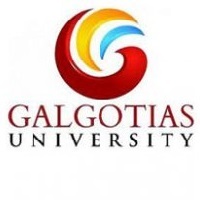 Candidates can remit application fee in online mode using Debit Card/Credit Card/Net Banking option. Candidates passed in 10+2 or equivalent examination with an aggregate of 50% marks and above (any discipline) in English medium. The Institute of Chartered Financial Analysts of India (ICFAI) is a not-for-profit Society registered under the Andhra Pradesh (Telangana Area) Public Societies Registration Act, 1350 Fasli (Act I of 1350 F). 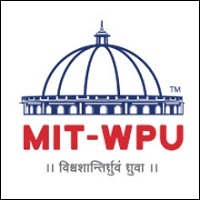 Established in the year 1984 with an objective of imparting world-class high quality education. 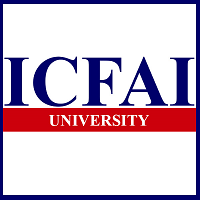 ICFAI has around three decades of exemplary track record in the field of higher education. ICFAI University of Law, Hyderabad provides for a distinct, qualitative and rigorous graduation program that can motivate and prepare the students for a challenging legal profession is the major mission for Our Law Schools of academic excellence. Your ILSAT brochure has been successfully mailed to your registered email id .